After church Sunday, we closed out husband Walter’s week and a half of birthday celebrating with lunch at a new Ocean Springs pizza place, Leo’s Wood Fired Pizza. The eatery had a laid-back, Hollywood theme with photos of celebrities on the walls. On the menu were items such as Clint Eastwood and Jane Fonda pizzas that continued the Hollywood theme. The staff was friendly and competent, and I would return to sample more of their scrumptious salads. The pizza was okay but did not quite measure up to our favorite wood-fired pizza about a decade ago in Carmel, CA. Of course, neither did that same Carmel restaurant’s fare measure up when we returned for a repeat in June 2008. Was it really that great or does the memory of a stellar experience just get better with time? Anyway, an added element to the Sunday experience was the location. 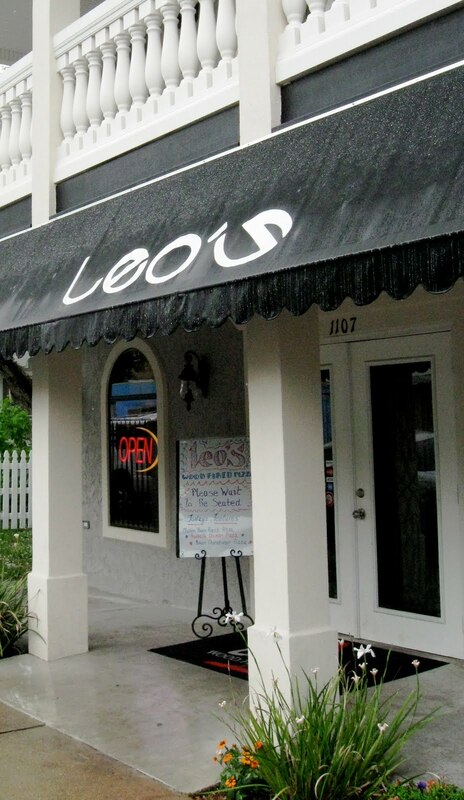 In the early 1970’s the two-story building housing Leo’s had two business spaces on the ground floor and an apartment on the second floor. 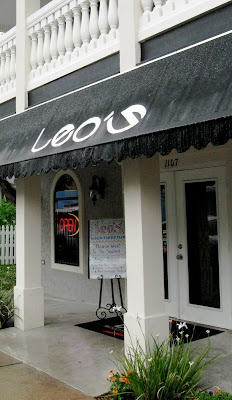 For awhile the space that is now the east side of Leo’s was home to my husband’s photography business before he built a studio. A shoe repair shop was in the other half. The building was not extremely attractive in those days. Hats off to Ocean Springs merchants who are doing a wonderful job of “recycling” old structures into retail spaces that delight the eye and draw residents and visitors alike to the downtown area.